Enjoy beer and cheese pairings at party in Di Bruno Bros. Cheese at Di Bruno Bros. This holiday season, go ahead and indulge. A ticket to a beer and cheese party at Di Bruno Bros. is a great gift to give yourself, especially when it's only $25. The event will take place Wednesday, Dec. 12, in the Rittenhouse location's upstairs café. 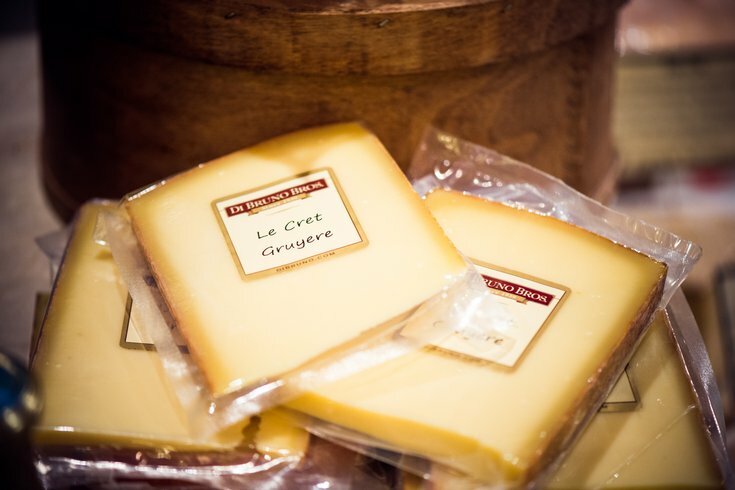 Beer from Tröegs will be paired with delicious cheese, picked by Di Bruno Bros.' cheesemongers. There will be charcuterie boards, jellies, jams and nuts, too. In total, there will be 10 pairing stations. A bar serving additional wine and beer will also be open. At the end of the night, all attendees will go home with swag bags. Attendees can spend the evening simply enjoying the food and drink, or may want to pay close attention to the pairings, to use at their own holiday parties.